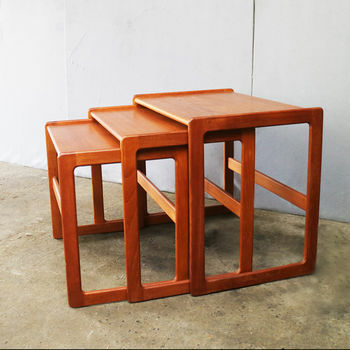 A beautiful set of 3 nesting tables designed by Arne Hovmand-Olsen, and manufactured by Mogens Kold. 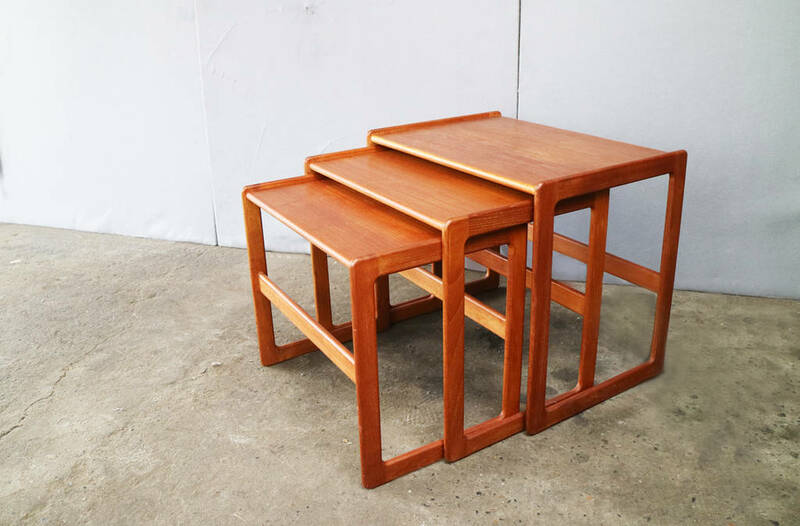 The tables are made of solid teak and are in excellent condition. Condition: Excellent vintage condition. Signs of very minor wear consistent with age and use. DELIVERY: All delivery and shipping costs are estimated and are extra to the cost of the item, they will be confirmed once the destination is known. 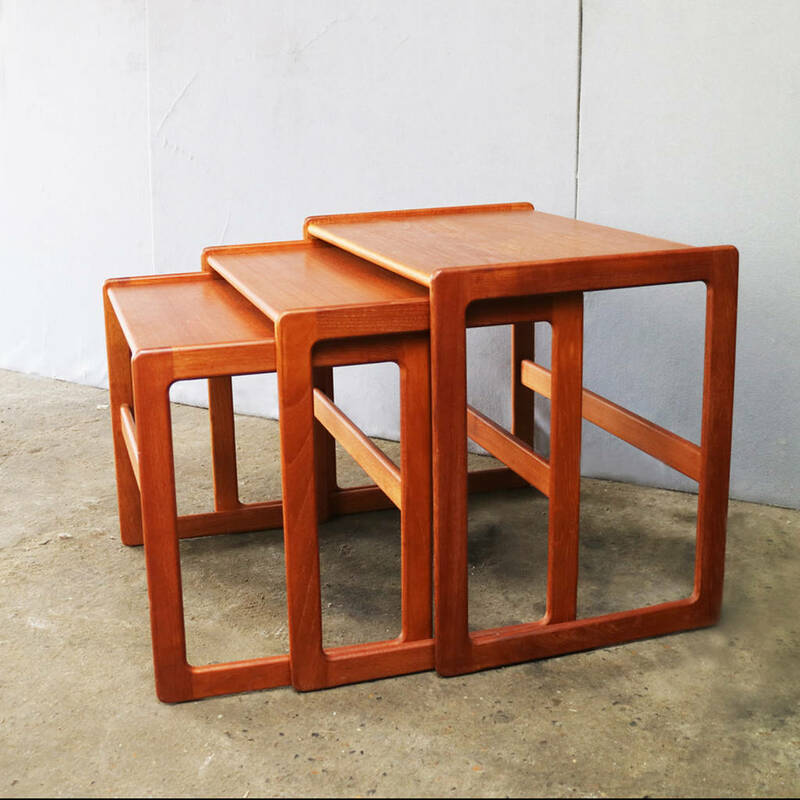 A beautiful set of 3 nesting tables designed by Arne Hovmand-Olsen, and manufactured by Mogens Kold. 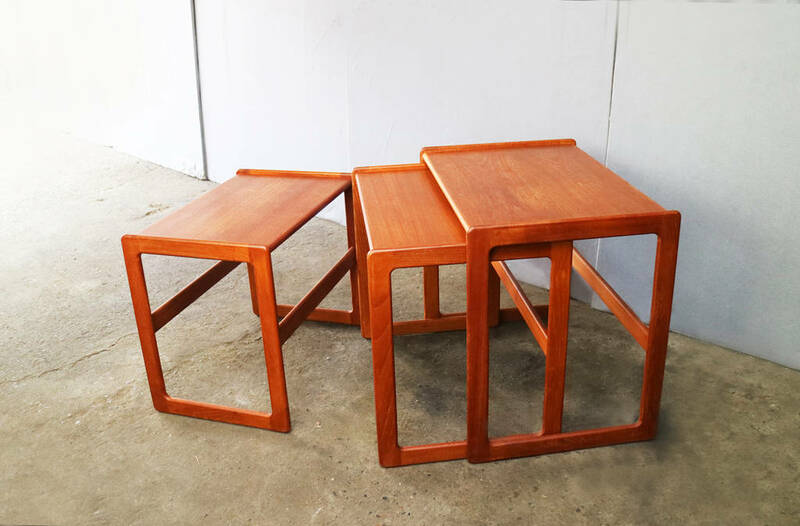 The tables are made of solid teak and are in excellent condition. Country of origin: Denmark Date of manufacture: 1960’s Material: teak Size: width 58cm x height 51cm x depth 40cm Condition: Excellent vintage condition. Signs of very minor wear consistent with age and use. DELIVERY: All delivery and shipping costs are estimated and are extra to the cost of the item, they will be confirmed once the destination is known. This product is dispatched to you by Proper..